I am asking for help covering high medication cost. 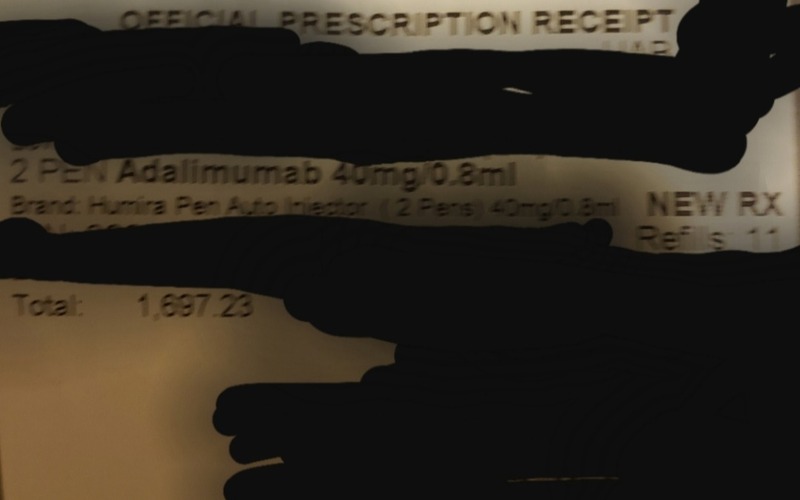 I have a condition called Crohn's disease and I am on a medication called Humira (adalimumab) that costs me $1697 a month. I recently lost health coverage and am now unfortunately faced with trying to pay for the medication myself. I am a full time student so I can't work enough to make that amount in a month for expenses such as rent, let alone for medication. I hope that I can get financial assistance so I can cover next months medication cost.